one of my favorite things to document is kids being kids. the window of make believe is a tiny one, and i love to preserve these slices of childhood for you. 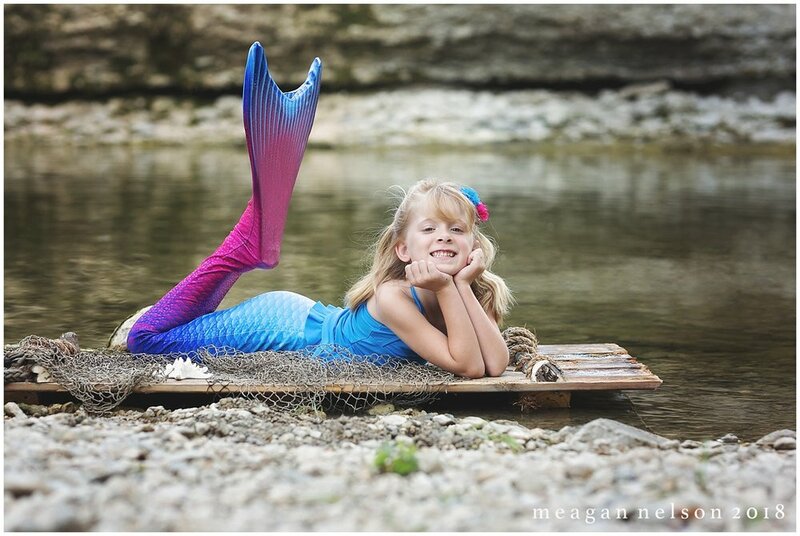 watching these girls splashing around in their little mermaid tails made my heart sing. 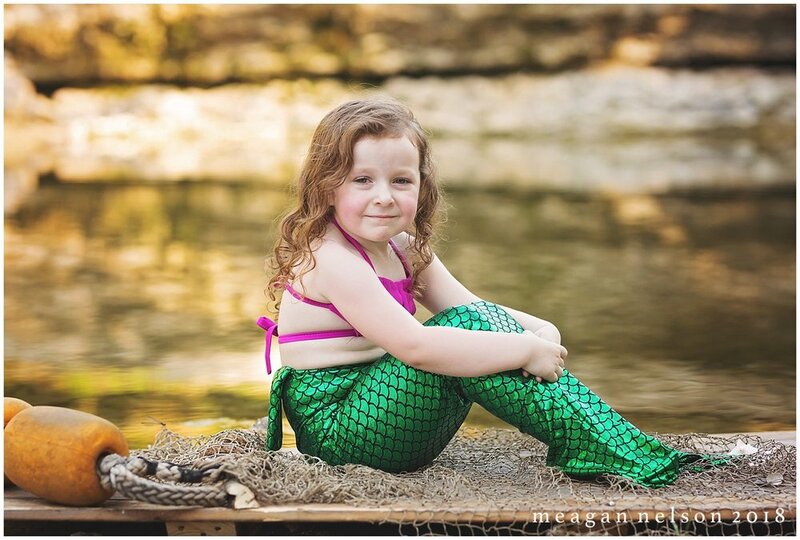 i’ve been asked to do mermaid minis since i first started - and im not really sure what took me so long to get on board, because these are just precious. i had the girls get their own tails - and my pops hand made the raft. (thanks papa!) 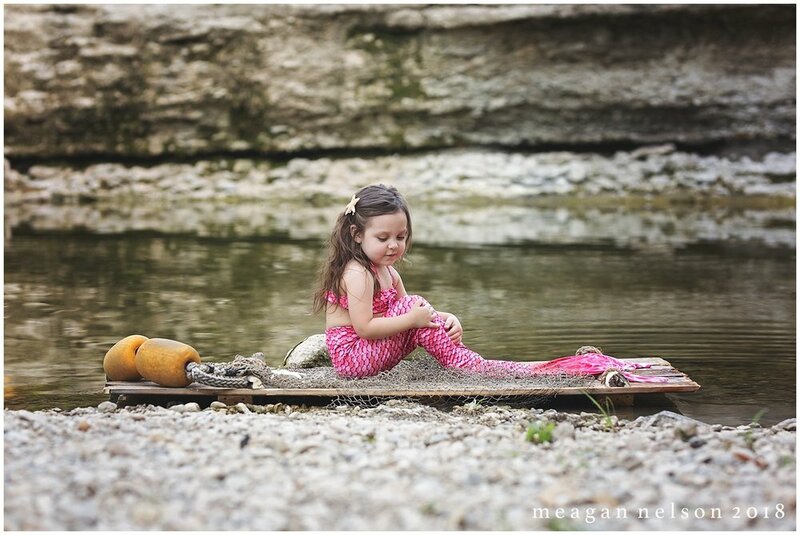 this little cove/waterfall in fort worth was just perfect for the minis.